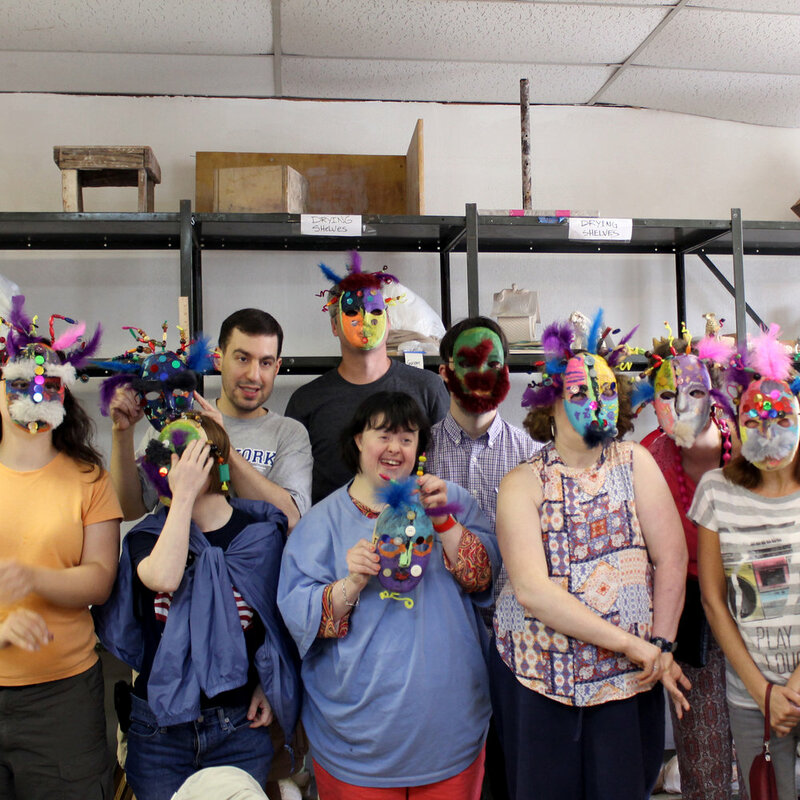 ArtAbility is a pilot program that provides free studio opportunities and arts instruction to teens and young adults with developmental and intellectual challenges. Camp MetalHead is offered in the summer to underserved and at-risk teens ages 13 to 17, providing both relevant job skills training and quality arts instruction in welding and jewelry. Unseenamerica is an eight-week curriculum-based program that teaches digital photography to underserved children living in stressed neighborhoods whose lives are often unnoticed by the community at large and the media. Art as a Second Language is a series of free family-friendly art activities led by CAC instructors throughout the year at various venues, including the Dallas Arboretum, the Dallas Public Library, Klyde Warren Park, and NorthPark Center. Feasts of Clay and Glass is a collaboration with Café Momentum, a restaurant training platform that provides post-release paid internships for juvenile offenders through which they receive intensive culinary, job and life-skill training, as well as continued mentoring and support to foster successful re-entry into the community. Scholarships are available for regular classes and workshops to those who need financial support and a select number are offered each session. They are intended to be short-term opportunities to delve into a meaningful art experience, learn a new medium or develop a potential job skill. You can apply HERE. Please allow three weeks for a decision. INFORMATION ON UPCOMING ANNUAL JURIED EXHIBITION AND OTHER EXHIBITIONS COMING SOON! WE CURRENTLY DO NOT HAVE ANY OPEN CALLS AT THIS TIME! PLEASE CHECK BACK AT A LATER DATE.